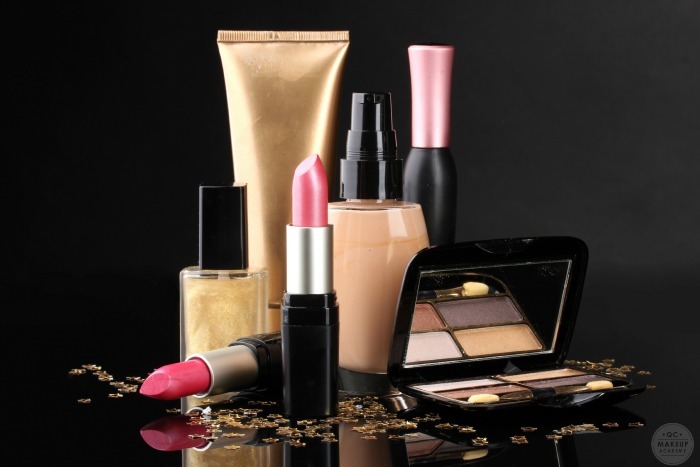 As far as diverse careers go, makeup may be one of the most versatile options available. There are more options available under the makeup scope than the vast majority of careers out there. And, on top of that, it is recession-proof! Even when times are tough, people want to look their best. Beauty is a billion dollar industry because no price tag can be put on the “feel-good” factor. At the end of the day, our lives are better when we feel good. Confidence is one of the biggest gifts that a career in makeup can offer. The most popular job available in the field of makeup is the independent artist. Within this category, there are nearly endless options. This diverse option will put you on the set of films, television shows and commercials. In most cases, it’s about natural makeup applications that makes people look like “enhanced” versions of themselves. Occasionally, a role may require aging or specialty applications, but normally this career is best for those who have mastered the art of the light hand. As an added bonus, this option will often give you the opportunity to work with celebrities. Working on the runway is fast-paced and fun. You’ll be applying makeup to models in order to complement a designer’s collection. If you are the key artist, you may also have the opportunity to design the makeup. These makeup applications affect the trends for the upcoming seasons and tend to be bold, exciting, or at the very least, provocative. Working in print provides many options. If you’re shooting for commercial, you’re selling a product. If you think about familiar ad campaigns (excluding makeup ads), the looks tend to be quite simple so as not to be a distraction to the product itself. If you’re shooting for fashion, you’re selling a lifestyle or a brand image. In this case, you’re not just focusing on the clothing, you’re also focusing on the mood and the “feel” the garments are supposed to give off. If you’re shooting for editorial, you’re selling a story or communicating a theme. Each of these categories have their own specific requirements, and our job is to meet the needs of the client (whether it be dramatic makeup that tells an editorial story or simple makeup that does not distract from a product). These applications are the ones that get the most press. Celebrities are photographed and publicized. There images travel the globe and become the most desired looks. As a makeup artist for celebrities and red carpet, you make work with someone once, or you may work with them for years. It all comes down to your chemistry and your ability to create beautiful looks that compliment, but do not overshadow their public persona. Theatre makeup has its own specific criteria. The vast majority of the time, your job will be to design looks that allow the actors natural physical features to translate to the last audience row. A theatre can be huge, so it is necessary for eyes to look bigger and cheeks to appear rosier. Occasionally, there will be a character who requires specialty makeup, but the majority of the time, the makeup simply enhances the actors’ existing features. This may not be everyone’s first choice, but face painting and temporary tattoos can make a great part-time living. Whether you work at an amusement park or at children’s parties, this can provide an income as you build your portfolio. There are a lot of job opportunities available in a medical and spa settings. Almost every spa and hair salon has a makeup artist consultant. That artist may be called on for a wedding, special occasion, or to provide lessons. Often in a spa, an aesthetics license will be required as technicians who provide work on skin will want your application to complement their services. Working in a funeral home can be very rewarding. When working in this capacity, it is your job to make the deceased appear as they did when they were living. This is work can bring a great deal of comfort and peace to loved ones. In some states, this may require additional training. To many, the makeup artist is the most appealing job. It puts you in the center of the action, allowing you to see your work come to life on the face of a thankful client. The work can be high stress, but it is very satisfying. 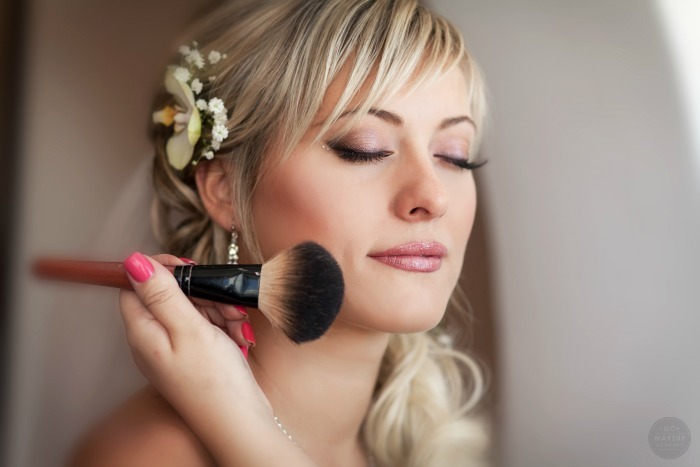 If you ask most people, they believe that a career in makeup begins and ends with cosmetic application. Although that is the most obvious job option, it is far from being the only one. Applying product can be very lucrative, and there are many outlets to do it but it is only a part of the available opportunities in the job market. As an artist, you may have the opportunity to work alongside cosmetic chemists in the development of new products. Having so much direct contact with so many people, a makeup artist can offer amazing insights to the scientist. Whether it be ideas for new products or the testing of current ones, your insights can have a major impact on a product’s development. Teaching can be an amazing opportunity in the makeup field. Whether you are sharing classic techniques with the next generation of artists or simply showing people how to look and feel their best everyday, education is a noble pursuit. As a brand representative, you have the opportunity to introduce products and brands to both consumers and retail locations. If you are working in-store, you’ll show your products to clients who come into a retail location. These jobs are often commission-based and require that a specific quota be reached each day. You may also have the opportunity to travel and teach teams at major retailers the secrets behind your product. How you share your knowledge will directly affect whether or not the retailer succeeds at selling the brand you represent. Brand reps sometimes even work on television, whether in infomercials or on home shopping television. 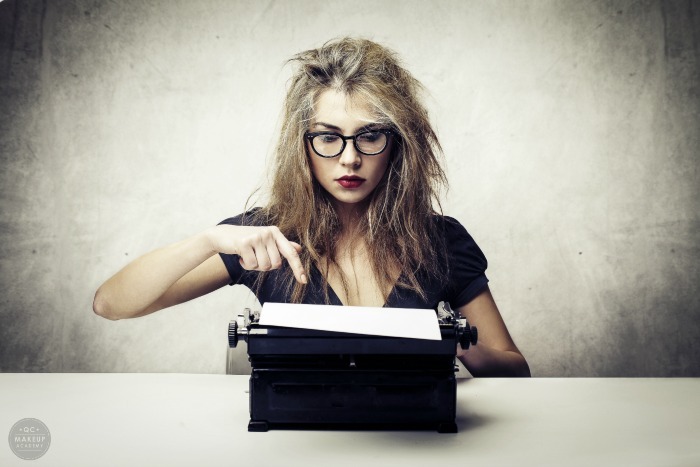 If you have a talent for writing, beauty writing may be the career for you. Whether you share your knowledge and insights on a blog or write for a national magazine, there are many untapped opportunities in the writing field. When you combine your opinion with knowledge, you can offer people insights and education. This is a great way to share your passion with the world. The career options above are really only the tip of the iceberg in terms of job opportunities that are available in the cosmetic world. If you’re passionate and driven, you can actually do many of them at the same time. As makeup artists, our careers can be unlimited, so think outside the box and create your dream life! Check out the Career Series to find the descriptions and profiles of professional makeup artists! Hello. Can I get more information about QC MakeUp Academy? I’m VERY interested! !